Lock in a great price for Palace Hotel & SPA – rated 8.9 by recent guests! The hotel looks like it was taken from some palace in the middle east and brought there. Rooms were huge! Indoor/outdoor pool, jaccuzzi and spa altogether! Minuets away from town square, 10min cab. Nicest hotel in this area. Definitely worth the price. Very clean, good breakfast in the roof terrace room. Beautiful beach area and plenty to see on beach walk. Easy taxi ride to downtown. Don’t miss it. Very interesting, Staff is very nice, helpful and speak English. Food is wonderful. Best spa area we have ever seen in Europe. Location and facility is special. Price is good enough to spend gor trip. Clean hotel, lovely spa, great service and great breakfast. Probably the best breakfast buffet in the city! Excellent and friendly staff, beach property. Price a bit more compared to surrounding hotels but for the ambiance and food well worth it. The staff was very nice and accommodating. I had a very pleasant stay and have recommended the location to my friends. Thank you! Beautiful hotel. Very well maintained. Breakfast buffet was very big and had lots of options. Overall was a great experience. 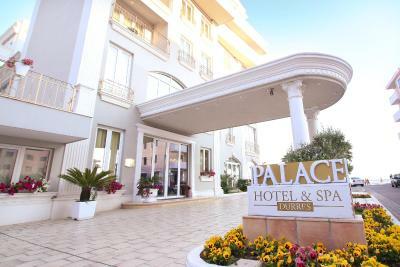 Palace Hotel & SPA This rating is a reflection of how the property compares to the industry standard when it comes to price, facilities and services available. It's based on a self-evaluation by the property. Use this rating to help choose your stay! 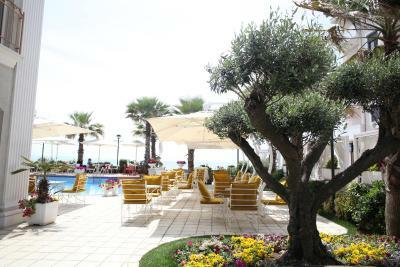 Featuring an outdoor pool, on-site bar, restaurant and free Wi-Fi, Palace Hotel & SPA is next to the sea and has its own private beach area. The center of Durres is 2.5 miles away. Guests enjoy free Spa services that include an indoor pool, saunas, hot bathtubs and a gym. Luxury decorated, all rooms and suites are air-conditioned and comprise a flat-screen satellite TV, a minibar and a sofa seating. 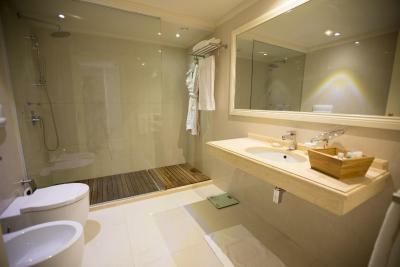 The bathroom includes a shower and free wardrobe and toiletries. 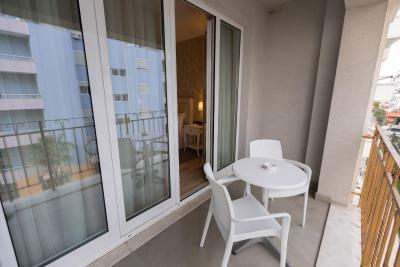 Some units have a furnished balcony and sea views. The Palace Hotel & SPA also has a grocery store, a currency exchange office and car rental service. Business center and banquet facilities are available for a fee. The Old Town of Durres, preserving Amphitheater, Venetian Tower and an Antique Thermals, is 2.5 miles away. There is a bus stop only 30 feet from the property. Durres Ferry Port with lines to Ancona and Bari is located 2.5 miles away. Tirana Airport is 19 miles from the property, and a shuttle service is available for a fee. 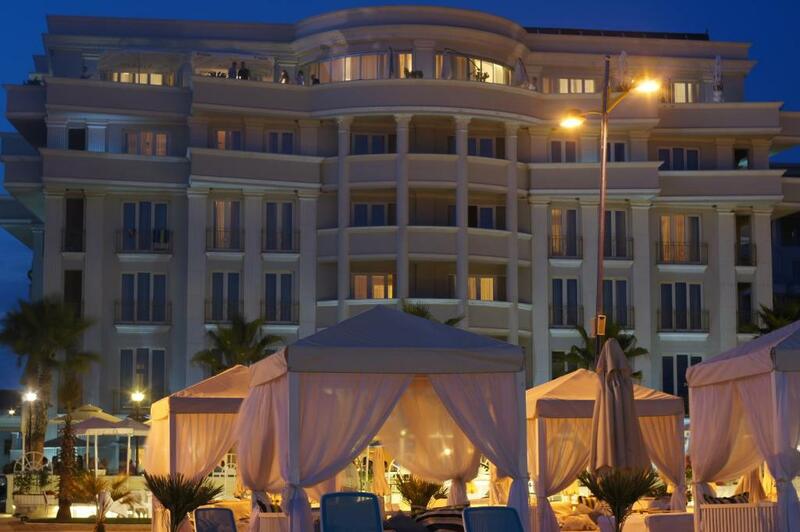 When would you like to stay at Palace Hotel & SPA? 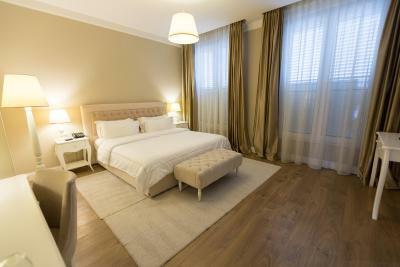 This air-conditioned room features sofa seating, a flat-screen satellite TV and a minibar. It includes a bathroom with a shower and a hairdryer. This air-conditioned room offers sea views. It features sofa seating, a flat-screen satellite TV and a minibar. 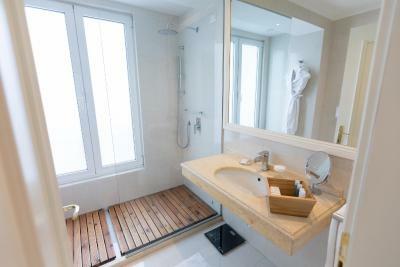 The bathroom with a shower also includes a hairdryer. 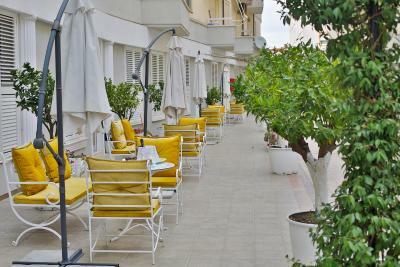 This spacious air-conditioned room features a furnished balcony with sea views. It includes sofa seating, a flat-screen satellite TV and a minibar. The bathroom with a shower includes a hairdryer. This spacious air-conditioned suite features a furnished balcony with sea views. It includes a sitting area, flat-screen satellite TV and a minibar. It has a bathroom with a shower and a hairdryer, as well as an additional toilet. This room comes with a balcony offering views of the sea. Featuring sea views from its large windows, this room has one double bed and one sofa bed. House Rules Palace Hotel & SPA takes special requests – add in the next step! Palace Hotel &amp; SPA accepts these cards and reserves the right to temporarily hold an amount prior to arrival. Palace Hotel & SPA accepts these cards and reserves the right to temporarily hold an amount prior to arrival. Room needed peep holes. Room was beyond great but that was one glaring issue if someone knocks at your door. Add small information about shopping and eating out in town for guests. The second time at this wonderful hotel where the service , food and venue are absolutely 5+stars. Staff very professional and helpful, we asked for an upper floor room and was a positive result. Will recommend as the best in albania. All the best - as always, the best hotel in Durres! Very Good bed, very good breakfest. Friendly people, Good restaurant. Spa warm and clean. Nice stay. Staff is amazing, very fast and attentive - ready to help at any moment. Breakfast is full no matter what time of year. Rooms are super clean and comfortable. Garage is a huge plus. And position is great - right at the beach and close to the exist for other cities of Albania. Will definitely come again. We did not find any reasons to complain. Very friendly and competent staff, clean and spacious rooms and and an awesome breakfast! Lovely indoor pool and sauna. The wi-fi connection was not very good in the room. The hotel was great from all perspectives. It offers a lot of services including in the price, like indoor swimming pool, jacuzzi, sauna and gym. There are also more services like massage with fare charge. The room was spacious and clean. The hotel’s restaurant/cafe/bar was really nice, the food very delicious and the prices normal. The staff was very friendly. The breakfast buffet was amazing and included a variety of salty and sweat choices. The breakfast takes place in the 5th floor of the hotel and from there the view to the sea is incredible. The hotel was a little too far out of the town, so a taxi was needed. 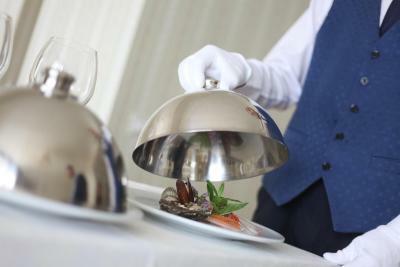 The staff were extremely helpful, everything we asked for our needs were meet. The manager and the reception staff helped us in every way possible. We were able to extend our room on our final day as we had a late flight back to the uk. We have visited a lot of hotels in Durres but this hotel was the best hotel that we have ever been. The staff was helpful and ready to answer your questions or to recommend you any place based on your interest. The room was big and the bath was clean and super big. The indoor pool was a little bit small for the hotel capacity but it was acceptable. Having breakfast with sea view on the terrace in the 5th floor was perfect. The food was delicious. In the evening you can have romantic dinner near the pool which was very beautiful. I forgot some things on my room, but the staff was very effective and i finally received them.